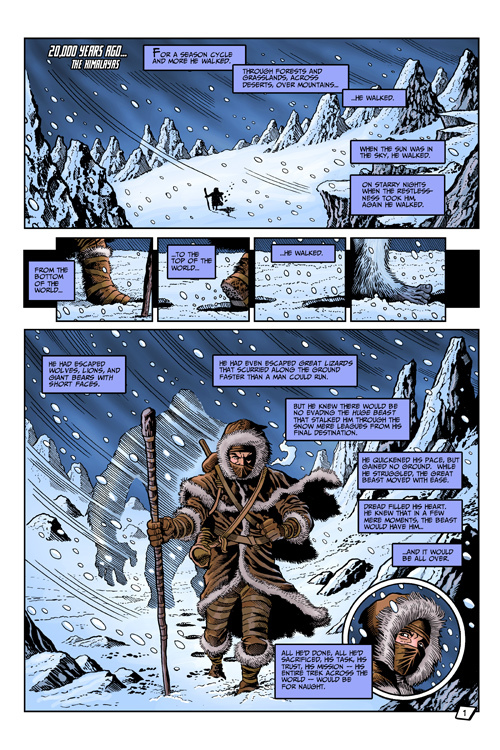 “How Sharper Than a Dragon’s Tooth”, Part One of a Six-Part Graphic Novel. John Aman and Johann Rogers (Dr. Vampire) are routing a nest of vampires when X-Bureau Operations Chief Sylvia Manners (formerly known as the Black Angel) arrives to inform John that Zoe Henderson — investigative reporter and Aman’s close friend — has gone missing after a visit to the controversial bio-engineering firm Googer Industries. While in the late 1800s in the Utah Territory the mysterious Hooded Horseman takes his last ride. 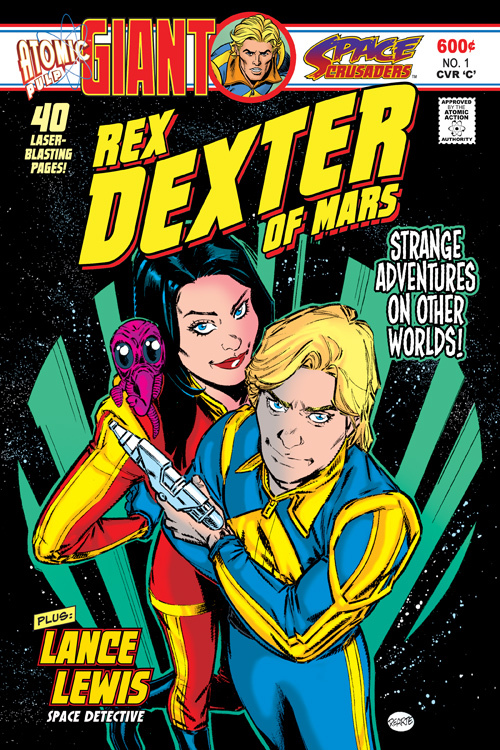 The All New Adventures of a Classic Comic Book Hero begin right here! 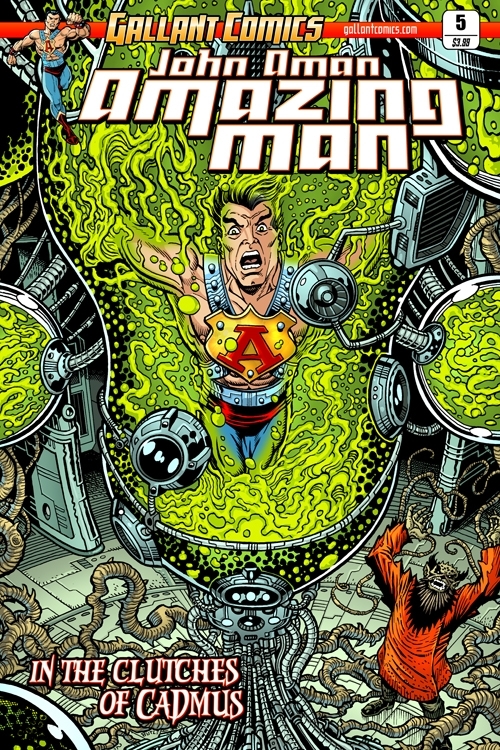 John Aman Amazing Man is an ongoing series that reads like a blockbuster, crossover/event-style comic. 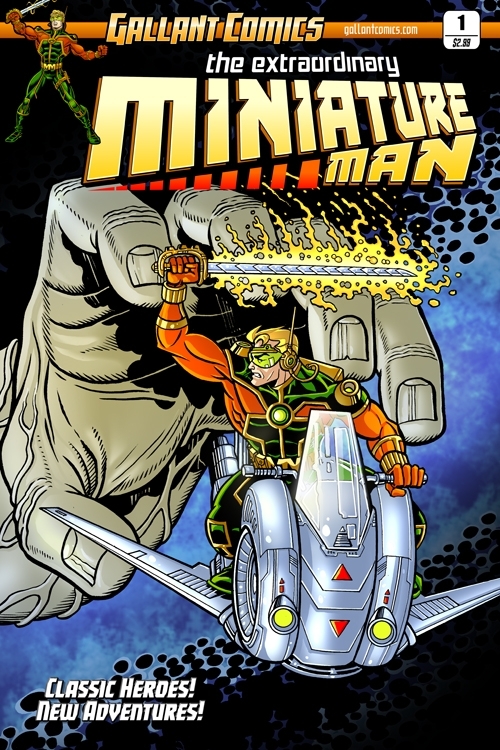 Populated by updated versions of classic characters created by legendary creators such as Jack Kirby, Will Eisner, Bill Everette, Jerry Siegel, Joe Shuster and many, many more, John Aman Amazing Man is genre-bending, broad-canvas, long-form, serialized, old school action/adventure storytelling. You know, the kind of comics you thought no one was making anymore! As an orphan from the US midwest, John Aman is taken to a secret lamasery in the Himalayas. There he spends decades honing himself to physical and mental perfection while also being trained in all manner of arcane arts and practices so that he might return to America as its protector. John Aman Amazing Man is based on the classic Golden Age character created by comics great Bill Everette (creator of Namor the Submariner and co-creator of Marvel’s Daredevil). 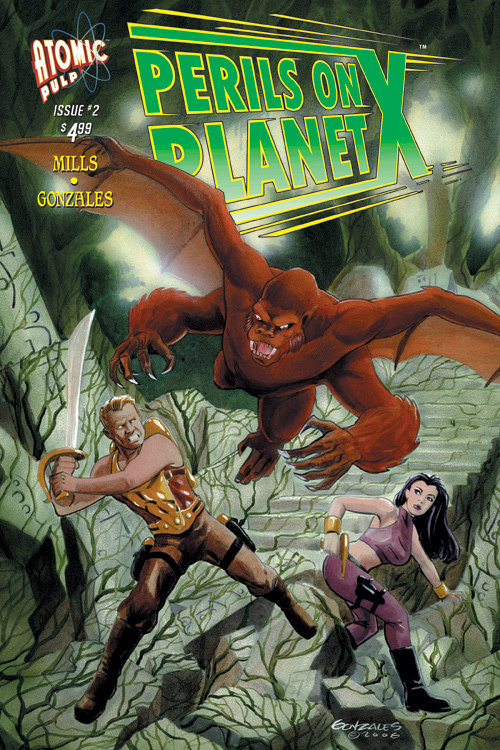 SKU: 2_110273_01 Categories: Adventure, Free Downloads, Super Hero Tags: gallant, John Aman Amazing Man, Series Starters Brands: Gallant Comics. 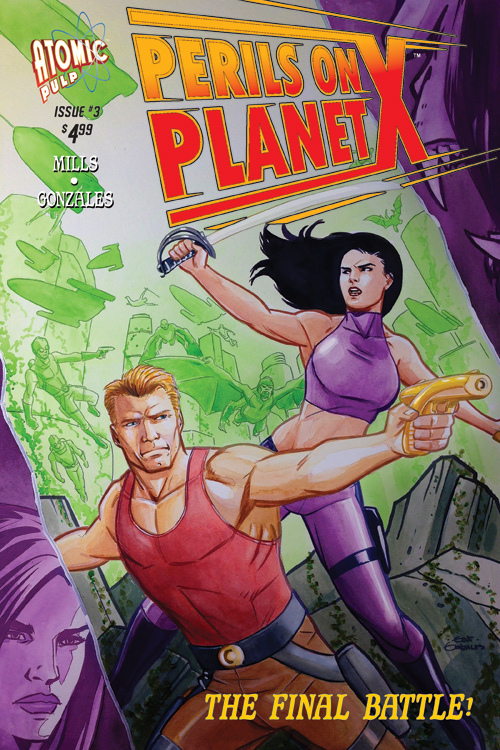 I really enjoyed this comic, an excellent introduction to a broader super-hero universe for this reader. Both writing and art hit the right spots for, presenting a classic action adventure tale, or at least a chapter in a larger story. Recommended. 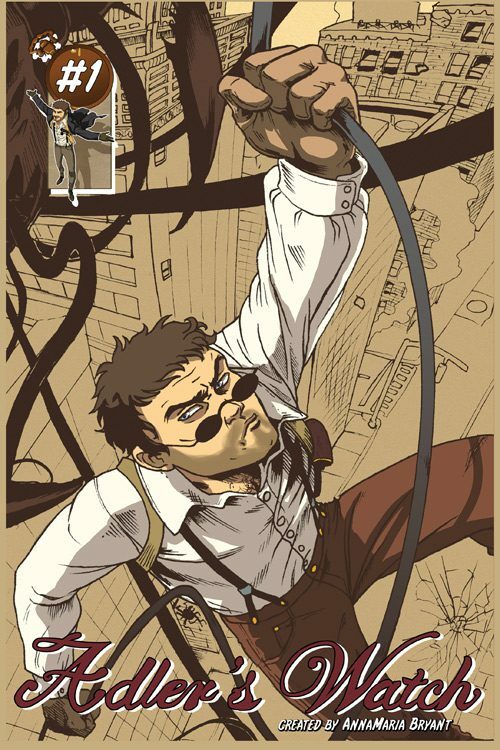 I really enjoyed this new take on a golden age public domain hero. The story draws you in with a mystery right up front as well as a ending that reminds me of old serials at the movies. The art is really good and the book overall flows very well. This is a no-brainer as a free download. You can’t go wrong with John Aman, Amazing Man!!!! 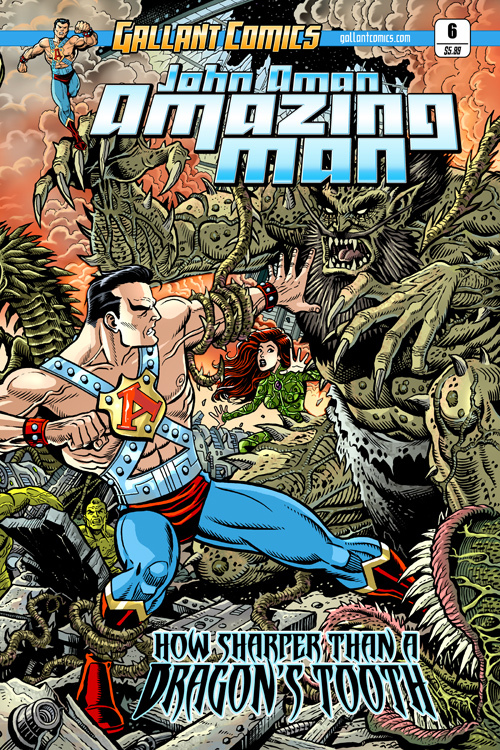 So here is my review for Amazing Man #1, published by Gallant Comics. First, off, I have to say Steven Butler is a horribly underrated artist. I absolutely love his work. Check out his art on Facebook when you get a chance! Barry Gregory is a decent writer and the story held my interest. I especially freaked out when Sylvia Manners aka The Black Angel showed up and Dr. Emmelman mentions The Heap. I’m a fan of both these characters and I really want to get the other issues of Amazing Man to see what happens next. 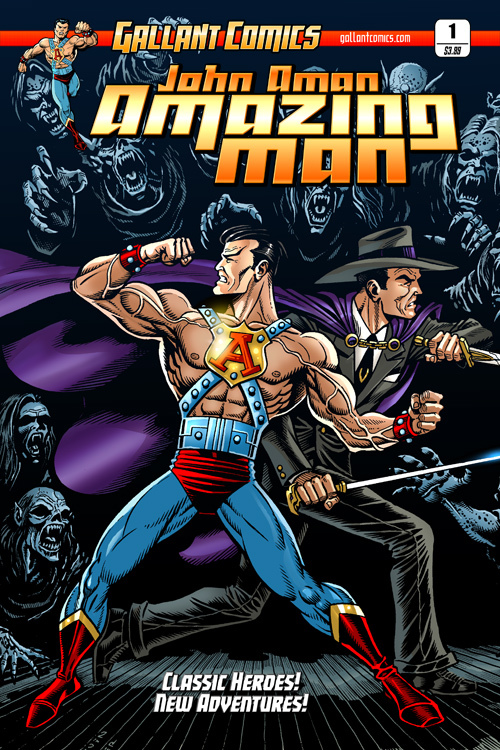 For some reason, the copy I received seems to be a variant cover of Amazing Man #1, but it looks great and that’s cool with me! Also, excellent printing and paper quality from KaBlam. I really am liking what Mr. Gregory and Mr. Butler are doing with these public domain comic book characters. A good story accompanied by really amazing artwork will give you a damn good comic book. I highly recommend this book!